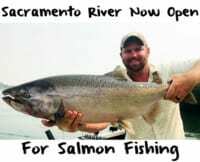 It’s been a banner spring for trout fishing on the Sacramento River below Redding and fortunately we aren’t seeing any signs of it slowing in the next few months. 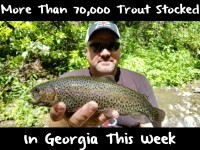 While I’m no biologist I attribute the great rainbow trout fishing to last year’s big salmon run. The more salmon we have in The Sac the more loose eggs tumble through the system and the more food there is for these trout. Those salmon eggs are high in nutrition and serve as growing pills for the rainbows. Historically, it seems like when we have big salmon runs the trout respond well, and grow quicker. The trout are growing well. I’ve had some trips where we caught some big fish. We’ve had some to 26 inches, but all the fish are quality fish and chunky. The average trout is 16-18 inches. This fishery is here all year, but with salmon season not open right now it’s giving us time to target the rainbows. I’ll be focusing on these trout from now through July. Once salmon season starts, here in late July, no one will be fishing for the trout. These fish don’t leave so there’s no reason why it shouldn’t stay hot through then. Right now, on average, we are catching 15-25 fish per trip. The Sacramento’s trout fishery is not like any other fishery around because they are wild rainbows and it’s constant action. This isn’t like a steelhead trip where you may catch two to three fish, which is a great day. Here, catching 25 isn’t out of the ordinary. There are many ways to target these fish. Personally, I do two things. I either backtroll Lil FatFish or drift bait. 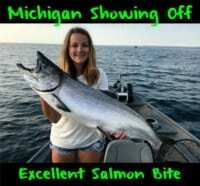 Side drifting bait is effective when using Pautzke Orange Deluxe and Yellow Jacket salmon eggs because they are identical to the eggs the rainbows are eating when the salmon are spawning. You are matching the hatch, per say. Trout fishing on the Sacramento rivals that of anywhere in the US. However, they are still wild rainbows and there are days when they don’t bite well. When they develop lockjaw, fortunately, I have one technique I can turn to. I start with #6 Pline fluorocarbon leader and tie on a Glo Bug, leaving 6-8 inches of line below the Glo Bug to add a Pline bead and a Size 8 Eagle Claw Lazor sharp hook. I like to use a different color Glo Bug and bead on each rod. This way you can cover many color combinations and discover which the fish are keying in on that day. Then I place either an Orange Deluxe salmon egg or Yellow Jacket egg on the hook. I run this setup drift fishing with a slinky or adjustable float. It doesn’t take many drifts to figure out which color egg the rainbows are feeding on. However, to increase catch rates and add more scent I have my clients dip their Glo Bugs in red Pautzke Nectar. This disperses pure salmon egg juice in the water and triggers strikes. The Nectar is the same juice that is released from the eggs when salmon are spawning the river. Through spring and early summer you’ll want to cast your Glo Bug/egg setup in riffles. The trout are in riffles because there are still come salmon in the river spawning, which releases salmon eggs into the system. While it may be surprising to some our winter run salmon spawn here in May and June.